Shira Shavit has been providing health care to patients and families impacted by incarceration for over a decade. In addition to acting as Executive Director, Dr. Shavit locally directs the Transitions Clinic program at Southeast Health Center in San Francisco's Bayview Hunter's Point neighborhood and the Medical Discharge Planning clinic at San Quentin State Prison. She worked as a consultant to reform healthcare systems in California State prisons with the California Department of Corrections and Rehabilitation from 2006-2011. 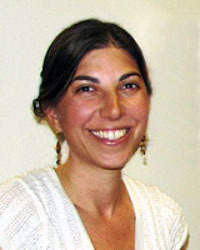 Dr. Shavit is also an Associate Clinical Professor of Family and Community Medicine at the University of California in San Francisco and received the Robert Wood Johnson Community Health Leader Award in 2010. She received her MD at Rush University in Chicago and completed her residency in Family Medicine at the University of California, San Francisco.